Jan Chapman Productions. 1993. Director: Jan Campion. Music: Michael Nyman. CD (ST) Virgin. CDVE 919. (CD Virgin (USA). 788274). 1993. To The Edge Of The Earth. (4:06). A Wild And Distant Shore. (5:50). The Heart Asks Pleasure First. (1:33). A Bed Of Ferns. (0:46). The Scent Of Love. (4:16). Deep Into The Forest. (2:58). The Mood That Passes Through You. (1:13). I Clipped Your Wing. (4:34). Dreams Of A Journey. (5:30). 45 (ST) Virgin. VEN 3. 1994. "THE PIANO SINGLE". Side a: “The Heart Asks Pleasure First/The Promise (Edit)”. (3:11). 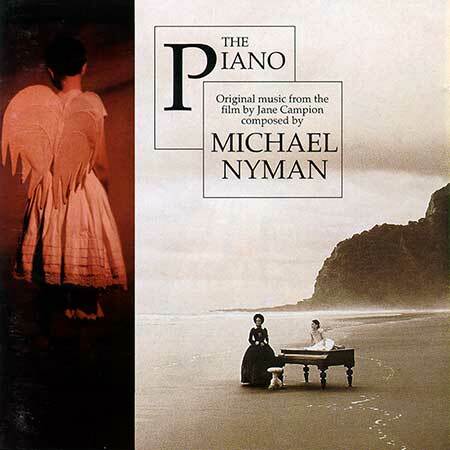 Michael Nyman - Piano. Side b: 1. “Big My Secret”. (2:53). Michael Nyman - Piano. 2. “All Imperfect Things”. (4:01). 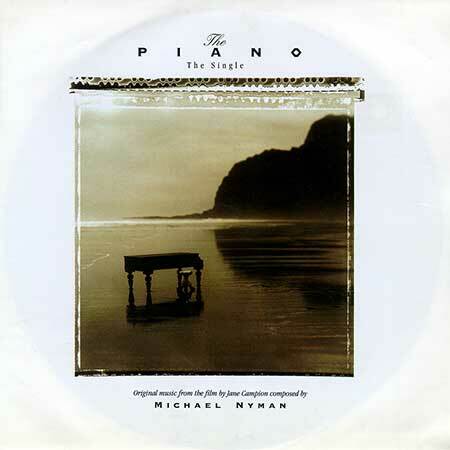 Michael Nyman - Piano. CD(t) (AD) Star (Holland). 86082. 1994. 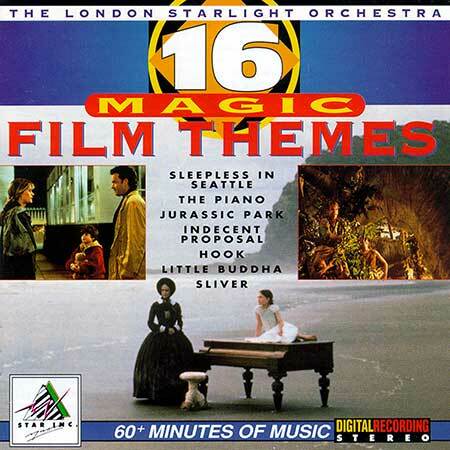 "16 MAGIC FILM THEMES". CD(t) (AD) ABC Classics. 476 160-4. 2004. 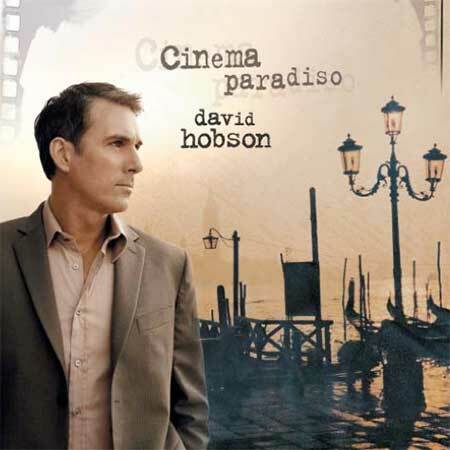 "CINEMA PARADISO DAVID HOBSON". 12: Gloomy Winter Theme from The Piano (1993). 2CD(t) (AD) Decca Records. 0028946656327. 2011. "CLASSIC LOVE AT THE MOVIES". CD2 11: The Piano- The Heart Asks Pleasure First. CD(t) (OP) Virgin. CDV 2774. 1995. "CINEMA MOODS". CD(t) (AD) Erato. 0630-11249-2. 1994. "HOLLYWOOD CLASSICS". 2CD(t)(AD) EMI (UK). 7243 5 658142 5. "CINEMA CLASSICS". CD(t) (AD) Audio Masters. AM/AM-CD-109. 1995. "AN HOUR OF HITS FROM THE SHOWS". CA(t) (AD) Huges Leisure Group. MAR-819. 1994. "MOVIE GIANTS - 16 BLOCKBUSTERS". CD(t) Artworks Cinema. AW002. 1996. "ROGER WOODWARD - MOVING PICTURES". (1) A French-financed Australia-New Zealand co-production. Script developed with the assistance of the Australian Film Commission. Film developed with the assistance of New South Wales Film and Television office.